Binary dump using the CSerializable interface(<< and >> operators), just as most objects in the MRPT library. This format is not compatible with any standarized image format. Only the unsigned 8-bit storage format for pixels (on each channel) is supported. An external storage mode can be enabled by calling CImage::setExternalStorage, useful for storing large collections of image objects in memory while loading the image data itself only for the relevant images at any time. To move images from one object to the another, use CImage::copyFastFrom rather than the copy operator =. Some functions are implemented in MRPT with highly optimized SSE2/SSE3 routines, in suitable platforms and compilers. To see the list of optimizations refer to this page. If optimized versions are not available in some platform it falls back to default OpenCV methods. For many computer vision functions that use CImage as its image data type, see mrpt::vision. This class acts as a wrapper class to a small subset of OpenCV functions. IplImage is the internal storage structure. Definition at line 101 of file CImage.h. Access to image contents (IplImage structure and raw pixels). Definition at line 103 of file CImage.h. Definition at line 53 of file CCanvas.h. Default constructor: initialize an 1x1 RGB image. Definition at line 81 of file CImage.cpp. References CH_RGB, changeSize(), MRPT_END, and MRPT_START. Definition at line 66 of file CImage.cpp. References changeSize(), MRPT_END, and MRPT_START. Copy constructor, makes a full copy of the original image contents (unless it was externally stored, in that case, this new image will just point to the same image file). Definition at line 96 of file CImage.cpp. Fast constructor that leaves the image uninitialized (the internal IplImage pointer set to NULL). Definition at line 142 of file CImage.h. Fast constructor of a grayscale version of another image, making a reference to the original image if it already was in grayscale, or otherwise creating a new grayscale image and converting the original image into it. Definition at line 155 of file CImage.h. References grayscale(), isColor(), and MRPT_UNUSED_PARAM. Constructor from an IPLImage*, making a copy of the image. Definition at line 201 of file CImage.cpp. Definition at line 171 of file CImage.h. Definition at line 220 of file CImage.cpp. Resize the buffers in "img" to accomodate a new image size and/or format. Definition at line 228 of file CImage.cpp. References mrpt::utils::CTimeLogger::enter(), mrpt::mrpt::format(), img, mrpt::utils::CTimeLogger::leave(), makeSureImageIsLoaded(), MRPT_END, MRPT_START, releaseIpl(), and THROW_EXCEPTION. Referenced by CImage(), equalizeHist(), loadFromMemoryBuffer(), loadFromStreamAsJPEG(), and readFromStream(). Replaces this grayscale image with a RGB version of it. Definition at line 2392 of file CImage.cpp. Referenced by mrpt::vision::checkerBoardCameraCalibration(), mrpt::vision::checkerBoardStereoCalibration(), find_chessboard_corners_multiple(), mrpt::gui::CDisplayWindow::showImageAndPoints(), and mrpt::gui::CDisplayWindow::showTiledImageAndPoints(). Definition at line 2415 of file CImage.cpp. Definition at line 167 of file CImage.cpp. References img, m_externalFile, m_imgIsExternalStorage, m_imgIsReadOnly, MRPT_END, MRPT_START, releaseIpl(), and THROW_EXCEPTION. Referenced by mrpt::opengl::CTexturedObject::assignImage_fast(), and mrpt::opengl::COpenGLViewport::internal_setImageView_fast(). Copies from another image, and, if that one is externally stored, the image file will be actually loaded into memory in "this" object. Definition at line 150 of file CImage.cpp. References getExternalStorageFileAbsolutePath(), isExternallyStored(), loadFromFile(), and THROW_TYPED_EXCEPTION_FMT. Definition at line 1403 of file CImage.cpp. Referenced by mrpt::opengl::COpenGLViewport::internal_setImageView_fast(), and mrpt::opengl::CAssimpModel::traceRay(). Definition at line 329 of file CCanvas.cpp. Referenced by find_chessboard_corners_multiple(), and mrpt::gui::CDisplayWindow::plot(). Computes the correlation between this image and another one, encapsulating the openCV function cvMatchTemplate. patch_img The "patch" image, which must be equal, or smaller than "this" image. This function supports gray-scale (1 channel only) images. u_max The u coordinate where find the maximun cross correlation value. Definition at line 1451 of file CImage.cpp. References ASSERT_, getAs(), int(), isColor(), makeSureImageIsLoaded(), mrpt::system::os::memcpy(), MRPT_END, MRPT_START, mrpt::utils::round(), setFromIplImage(), and THROW_EXCEPTION. Definition at line 1736 of file CImage.cpp. References ASSERT_, mrpt::math::dft2_complex(), getAsMatrix(), getHeight(), getWidth(), mrpt::math::idft2_complex(), makeSureImageIsLoaded(), MRPT_END, MRPT_START, mrpt::math::round2up(), and mrpt::math::square(). Definition at line 2325 of file CImage.cpp. References mrpt::utils::TColor::blue, mrpt::mrpt::format(), mrpt::utils::CCanvas::selectTextFont(), and mrpt::utils::CCanvas::textOut(). Definition at line 1323 of file CImage.cpp. References ASSERT_, mrpt::utils::TColor::B, mrpt::utils::TColor::G, makeSureImageIsLoaded(), and mrpt::utils::TColor::R.
References cross(), mrpt::format(), mrpt::utils::TColor::red, and mrpt::utils::round(). Definition at line 304 of file CCanvas.h. Definition at line 271 of file CCanvas.cpp. References getHeight(), getWidth(), isColor(), MRPT_END, MRPT_START, and mrpt::utils::CCanvas::setPixel(). Referenced by mrpt::slam::CGridMapAligner::AlignPDF_robustMatch(), mrpt::slam::CMetricMapBuilderRBPF::drawCurrentEstimationToImage(), mrpt::utils::CEnhancedMetaFile::drawImage(), and mrpt::maps::COccupancyGridMap2D::saveAsBitmapTwoMapsWithCorrespondences(). Definition at line 255 of file CCanvas.h. References M_2PI, MRPT_END_WITH_CLEAN_UP, MRPT_START, and mrpt::utils::round(). Definition at line 2474 of file CImage.cpp. References ASSERT_, changeSize(), getAs(), and isOriginTopLeft(). Equalize the image histogram, replacing the original image. Definition at line 2514 of file CImage.cpp. Definition at line 1368 of file CImage.cpp. References ASSERT_, mrpt::format(), img, makeSureImageIsLoaded(), mrpt::system::os::memcpy(), resize(), and THROW_EXCEPTION. Referenced by mrpt::vision::computeHistogramOfOrientations(), mrpt::vision::computeMoreDescriptors(), mrpt::vision::computeMultiOrientations(), mrpt::vision::computeMultiResolutionDescriptors(), mrpt::vision::CFeatureExtraction::extractFeaturesFAST(), mrpt::vision::CFeatureExtraction::extractFeaturesFASTER_N(), mrpt::vision::CFeatureExtraction::extractFeaturesKLT(), mrpt::vision::CFeatureExtraction::extractFeaturesORB(), mrpt::vision::CFeatureExtraction::extractFeaturesSIFT(), mrpt::vision::CFeatureExtraction::extractFeaturesSURF(), mrpt::obs::CObservation3DRangeScan::getZoneAsObs(), mrpt::vision::openCV_cross_correlation(), and mrpt::vision::detail::trackFeatures_updatePatch< CFeatureList >(). Definition at line 229 of file CCanvas.cpp. References mrpt::utils::CCanvas::getHeight(), mrpt::utils::CCanvas::getWidth(), min, and mrpt::utils::CCanvas::setPixel(). Referenced by mrpt::slam::CGridMapAligner::AlignPDF_robustMatch(), mrpt::gui::CDisplayWindow::plot(), and mrpt::maps::COccupancyGridMap2D::saveAsBitmapTwoMapsWithCorrespondences(). Definition at line 2173 of file CImage.cpp. References ASSERT_, loadFromIplImage(), and makeSureImageIsLoaded(). Filter the image with a Gaussian filter with a window size WxH, returning the filtered image in out_img. Definition at line 2199 of file CImage.cpp. References ASSERT_, makeSureImageIsLoaded(), and releaseIpl(). Definition at line 2123 of file CImage.cpp. Filter the image with a Median filter with a window size WxH, replacing "this" image by the filtered one. Definition at line 2149 of file CImage.cpp. Definition at line 1995 of file CImage.cpp. Definition at line 1985 of file CImage.cpp. Definition at line 691 of file CImage.h. Definition at line 491 of file CImage.cpp. Referenced by mrpt::detectors::CFaceDetection::checkIfDiagonalSurface(), mrpt::detectors::CFaceDetection::checkIfDiagonalSurface2(), mrpt::detectors::CFaceDetection::checkIfFacePlaneCov(), mrpt::detectors::CFaceDetection::checkIfFaceRegions(), mrpt::detectors::CFaceDetection::experimental_calcHist(), mrpt::detectors::CFaceDetection::experimental_segmentFace(), getAsMatrix(), getAsRGBMatrices(), mrpt::hwdrivers::CSwissRanger3DCamera::getNextObservation(), mrpt::vision::CFeatureExtraction::internal_computeSpinImageDescriptors(), mrpt::maps::detail::pointmap_traits< CColouredPointsMap >::internal_loadFromRangeScan3D_prepareOneRange(), mrpt::opengl::CTexturedObject::loadTextureInOpenGL(), mrpt::obs::detail::project3DPointsFromDepthImageInto(), mrpt::opengl::COpenGLViewport::render(), and mrpt::opengl::CAssimpModel::traceRay(). Definition at line 517 of file CImage.h. Referenced by mrpt::vision::checkerBoardCameraCalibration(), mrpt::vision::computeMoreDescriptors(), mrpt::vision::computeMultiOrientations(), mrpt::vision::computeMultiResolutionDescriptors(), mrpt::vision::computeSAD(), cross_correlation(), cvFindChessboardCorners3(), mrpt::vision::CFeatureExtraction::detectFeatures_SSE2_FASTER10(), mrpt::vision::CFeatureExtraction::detectFeatures_SSE2_FASTER12(), mrpt::vision::CFeatureExtraction::detectFeatures_SSE2_FASTER9(), mrpt::detectors::CCascadeClassifierDetection::detectObjects_Impl(), do_special_dilation(), equalizeHist(), mrpt::vision::CFeatureExtraction::extractFeaturesFAST(), mrpt::vision::CFeatureExtraction::extractFeaturesKLT(), mrpt::vision::CFeatureExtraction::extractFeaturesORB(), mrpt::vision::CFeatureExtraction::extractFeaturesSIFT(), mrpt::vision::CFeatureExtraction::extractFeaturesSURF(), find_chessboard_corners_multiple(), mrpt::vision::findMultipleChessboardsCorners(), mrpt::vision::flip(), icvGenerateQuads(), mrpt::vision::CFeatureExtraction::internal_computeLogPolarImageDescriptors(), mrpt::vision::CFeatureExtraction::internal_computeORBDescriptors(), mrpt::vision::CFeatureExtraction::internal_computePolarImageDescriptors(), mrpt::vision::CFeatureExtraction::internal_computeSurfDescriptors(), joinImagesHorz(), mrpt::gui::MRPTImage2wxBitmap(), mrpt::gui::MRPTImage2wxImage(), mrpt::vision::openCV_cross_correlation(), mrpt::vision::CVideoFileWriter::operator<<(), mrpt::vision::CStereoRectifyMap::rectify(), setFromImageReadOnly(), mrpt::vision::CFeatureTracker_KL::trackFeatures_impl_templ(), mrpt::vision::CUndistortMap::undistort(), and mrpt::vision::CVideoFileWriter::writeImage(). Returns a pointer to a T* containing the image - the idea is to call like "img.getAs<IplImage>()" so we can avoid here including OpenCV's headers. Definition at line 522 of file CImage.h. References get_unsafe(), getHeight(), and MRPT_OVERRIDE. Definition at line 942 of file CImage.cpp. Referenced by mrpt::vision::computeGradient(), mrpt::vision::computeHistogramOfOrientations(), getMaxAsFloat(), and mrpt::maps::COccupancyGridMap2D::loadFromBitmap(). Definition at line 955 of file CImage.cpp. Definition at line 1601 of file CImage.cpp. References ASSERT_, get_unsafe(), int(), isColor(), makeSureImageIsLoaded(), MRPT_END, and MRPT_START. Referenced by cross_correlation_FFT(), and mrpt::vision::normalizeImage(). Definition at line 1840 of file CImage.cpp. References ASSERT_, isColor(), makeSureImageIsLoaded(), MRPT_END, and MRPT_START. Definition at line 1662 of file CImage.cpp. Definition at line 912 of file CImage.cpp. Referenced by mrpt::opengl::CFBORender::getFrame(), mrpt::opengl::CFBORender::getFrame2(), mrpt::vision::CFeatureExtraction::internal_computeLogPolarImageDescriptors(), mrpt::vision::CFeatureExtraction::internal_computePolarImageDescriptors(), and mrpt::vision::normalizeImage(). Returns a string of the form "BGR","RGB" or "GRAY" indicating the channels ordering. Definition at line 1180 of file CImage.cpp. References ASSERT_, makeSureImageIsLoaded(), and THROW_EXCEPTION. Referenced by mrpt::maps::CColouredPointsMap::colourFromObservation(), mrpt::obs::CObservationStereoImages::getDescriptionAsText(), mrpt::opengl::CTexturedObject::loadTextureInOpenGL(), mrpt::opengl::COpenGLViewport::render(), and mrpt::opengl::CAssimpModel::traceRay(). < Only if isExternallyStored() returns true. Definition at line 673 of file CImage.h. Referenced by mrpt::obs::CObservationStereoImages::getDescriptionAsText(), and mrpt::obs::CObservation3DRangeScan::getDescriptionAsText(). Definition at line 1962 of file CImage.cpp. References ASSERT_, IMAGES_PATH_BASE, and m_externalFile. Definition at line 682 of file CImage.h. Definition at line 884 of file CImage.cpp. Referenced by mrpt::opengl::CMesh::adjustGridToImageAR(), mrpt::slam::CGridMapAligner::AlignPDF_robustMatch(), mrpt::opengl::CMeshFast::assignImage(), mrpt::opengl::CMesh::assignImage(), mrpt::opengl::CMeshFast::assignImageAndZ(), mrpt::opengl::CMesh::assignImageAndZ(), mrpt::vision::checkerBoardCameraCalibration(), mrpt::vision::checkerBoardStereoCalibration(), mrpt::detectors::CFaceDetection::checkIfDiagonalSurface(), mrpt::detectors::CFaceDetection::checkIfDiagonalSurface2(), mrpt::detectors::CFaceDetection::checkIfFacePlaneCov(), mrpt::detectors::CFaceDetection::checkIfFaceRegions(), mrpt::maps::CColouredPointsMap::colourFromObservation(), mrpt::vision::computeGradient(), mrpt::vision::computeMainOrientation(), mrpt::vision::computeMainOrientations(), mrpt::vision::computeMoreDescriptors(), mrpt::vision::computeMultiOrientations(), mrpt::vision::computeMultiResolutionDescriptors(), correlate(), cross_correlation_FFT(), cvFindChessboardCorners3(), mrpt::vision::CFeatureExtraction::detectFeatures(), mrpt::slam::CMetricMapBuilderRBPF::drawCurrentEstimationToImage(), mrpt::utils::CCanvas::drawImage(), mrpt::detectors::CFaceDetection::experimental_segmentFace(), mrpt::vision::CFeatureExtraction::extractFeaturesFAST(), mrpt::vision::CFeatureExtraction::extractFeaturesFASTER_N(), mrpt::vision::CFeatureExtraction::extractFeaturesKLT(), mrpt::vision::CFeatureExtraction::extractFeaturesORB(), mrpt::vision::CFeatureExtraction::extractFeaturesSIFT(), mrpt::vision::CFeatureExtraction::extractFeaturesSURF(), find_chessboard_corners_multiple(), mrpt::obs::CObservationStereoImages::getDescriptionAsText(), mrpt::opengl::CFBORender::getFrame(), mrpt::opengl::CFBORender::getFrame2(), getMaxAsFloat(), mrpt::hwdrivers::CCameraSensor::getNextFrame(), icvGenerateQuads(), mrpt::vision::CFeatureExtraction::internal_computeSiftDescriptors(), mrpt::vision::CFeatureExtraction::internal_computeSpinImageDescriptors(), mrpt::maps::detail::pointmap_traits< CColouredPointsMap >::internal_loadFromRangeScan3D_init(), mrpt::vision::CGenericFeatureTracker::internal_trackFeatures(), joinImagesHorz(), mrpt::maps::COccupancyGridMap2D::loadFromBitmap(), mrpt::opengl::CTexturedObject::loadTextureInOpenGL(), mrpt::vision::matchMultiResolutionFeatures(), mrpt::gui::MRPTImage2wxImage(), mrpt::vision::normalizeImage(), mrpt::vision::openCV_cross_correlation(), mrpt::vision::CVideoFileWriter::operator<<(), mrpt::vision::CFeature::patchCorrelationTo(), mrpt::obs::detail::project3DPointsFromDepthImageInto(), mrpt::vision::relocalizeMultiDesc(), mrpt::opengl::COpenGLViewport::render(), mrpt::maps::COccupancyGridMap2D::saveAsBitmapTwoMapsWithCorrespondences(), mrpt::maps::COccupancyGridMap2D::saveAsEMFTwoMapsWithCorrespondences(), mrpt::gui::CDisplayWindow::showTiledImageAndPoints(), mrpt::opengl::CAssimpModel::traceRay(), mrpt::vision::detail::trackFeatures_addNewFeats_simple_list(), mrpt::vision::CFeatureTracker_KL::trackFeatures_impl_templ(), mrpt::vision::detail::trackFeatures_updatePatch< CFeatureList >(), update_patch(), and mrpt::vision::CVideoFileWriter::writeImage(). Definition at line 976 of file CImage.cpp. Definition at line 869 of file CImage.cpp. Referenced by mrpt::opengl::CTexturedObject::loadTextureInOpenGL(), mrpt::opengl::COpenGLViewport::render(), and mrpt::opengl::CAssimpModel::traceRay(). Definition at line 842 of file CImage.cpp. References ASSERT_, makeSureImageIsLoaded(), mrpt::utils::TPixelCoord::x, and mrpt::utils::TPixelCoord::y.
Referenced by mrpt::vision::checkerBoardStereoCalibration(), and mrpt::detectors::CFaceDetection::experimental_calcHist(). Definition at line 569 of file CImage.h. Definition at line 855 of file CImage.cpp. Referenced by mrpt::opengl::CMesh::adjustGridToImageAR(), mrpt::slam::CGridMapAligner::AlignPDF_robustMatch(), mrpt::opengl::CMeshFast::assignImage(), mrpt::opengl::CMesh::assignImage(), mrpt::opengl::CMeshFast::assignImageAndZ(), mrpt::opengl::CMesh::assignImageAndZ(), mrpt::vision::checkerBoardCameraCalibration(), mrpt::vision::checkerBoardStereoCalibration(), mrpt::detectors::CFaceDetection::checkIfDiagonalSurface(), mrpt::detectors::CFaceDetection::checkIfDiagonalSurface2(), mrpt::detectors::CFaceDetection::checkIfFacePlaneCov(), mrpt::detectors::CFaceDetection::checkIfFaceRegions(), mrpt::maps::CColouredPointsMap::colourFromObservation(), mrpt::vision::computeGradient(), mrpt::vision::computeMainOrientation(), mrpt::vision::computeMainOrientations(), mrpt::vision::computeMoreDescriptors(), mrpt::vision::computeMultiOrientations(), mrpt::vision::computeMultiResolutionDescriptors(), correlate(), cross_correlation_FFT(), cvFindChessboardCorners3(), mrpt::vision::CFeatureExtraction::detectFeatures(), mrpt::utils::CCanvas::drawImage(), mrpt::detectors::CFaceDetection::experimental_segmentFace(), mrpt::vision::CFeatureExtraction::extractFeaturesFAST(), mrpt::vision::CFeatureExtraction::extractFeaturesFASTER_N(), mrpt::vision::CFeatureExtraction::extractFeaturesKLT(), mrpt::vision::CFeatureExtraction::extractFeaturesORB(), mrpt::vision::CFeatureExtraction::extractFeaturesSIFT(), mrpt::vision::CFeatureExtraction::extractFeaturesSURF(), find_chessboard_corners_multiple(), mrpt::obs::CObservationStereoImages::getDescriptionAsText(), mrpt::opengl::CFBORender::getFrame(), mrpt::opengl::CFBORender::getFrame2(), getMaxAsFloat(), mrpt::hwdrivers::CCameraSensor::getNextFrame(), icvGenerateQuads(), mrpt::vision::CFeatureExtraction::internal_computeSiftDescriptors(), mrpt::vision::CFeatureExtraction::internal_computeSpinImageDescriptors(), mrpt::maps::detail::pointmap_traits< CColouredPointsMap >::internal_loadFromRangeScan3D_init(), mrpt::vision::CGenericFeatureTracker::internal_trackFeatures(), mrpt::maps::COccupancyGridMap2D::loadFromBitmap(), mrpt::opengl::CTexturedObject::loadTextureInOpenGL(), mrpt::vision::matchMultiResolutionFeatures(), mrpt::gui::MRPTImage2wxImage(), mrpt::vision::normalizeImage(), mrpt::vision::openCV_cross_correlation(), mrpt::vision::CVideoFileWriter::operator<<(), mrpt::vision::CFeature::patchCorrelationTo(), mrpt::obs::detail::project3DPointsFromDepthImageInto(), mrpt::vision::relocalizeMultiDesc(), mrpt::opengl::COpenGLViewport::render(), mrpt::maps::COccupancyGridMap2D::saveAsBitmapTwoMapsWithCorrespondences(), mrpt::maps::COccupancyGridMap2D::saveAsEMFTwoMapsWithCorrespondences(), mrpt::gui::CDisplayWindow::showImagesAndMatchedPoints(), mrpt::gui::CDisplayWindow::showTiledImageAndPoints(), mrpt::opengl::CAssimpModel::traceRay(), mrpt::vision::detail::trackFeatures_addNewFeats_simple_list(), mrpt::vision::CFeatureTracker_KL::trackFeatures_impl_templ(), mrpt::vision::detail::trackFeatures_updatePatch< CFeatureList >(), update_patch(), and mrpt::vision::CVideoFileWriter::writeImage(). Definition at line 992 of file CImage.cpp. 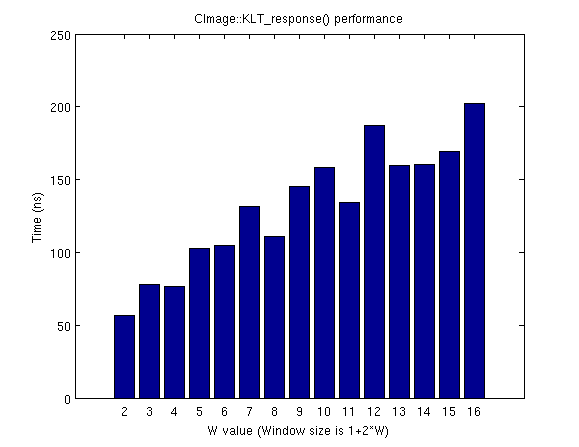 Referenced by buildPyramid_templ(), CImage(), and mrpt::vision::openCV_cross_correlation(). Definition at line 1028 of file CImage.cpp. References ASSERT_, ipl_to_grayscale(), makeSureImageIsLoaded(), and setFromIplImage(). Replaces the image with a grayscale version of it. Definition at line 1052 of file CImage.cpp. Referenced by buildPyramid_templ(), CImage(), colorImage(), colorImageInPlace(), mrpt::maps::CColouredPointsMap::colourFromObservation(), cross_correlation(), mrpt::utils::CCanvas::drawImage(), getAsFloat(), getAsMatrix(), getAsMatrixTiled(), getAsRGBMatrices(), mrpt::vision::CFeatureExtraction::internal_computeSpinImageDescriptors(), mrpt::maps::detail::pointmap_traits< CColouredPointsMap >::internal_loadFromRangeScan3D_init(), loadFromFile(), loadFromStreamAsJPEG(), mrpt::opengl::CTexturedObject::loadTextureInOpenGL(), mrpt::gui::MRPTImage2wxImage(), mrpt::vision::openCV_cross_correlation(), mrpt::obs::detail::project3DPointsFromDepthImageInto(), mrpt::vision::CStereoRectifyMap::rectify(), mrpt::opengl::COpenGLViewport::render(), mrpt::opengl::CAssimpModel::traceRay(), and writeToStream(). Definition at line 671 of file CImage.h. Referenced by mrpt::vision::checkerBoardCameraCalibration(), mrpt::vision::checkerBoardStereoCalibration(), copyFromForceLoad(), mrpt::obs::CObservationStereoImages::getDescriptionAsText(), and mrpt::obs::CObservation3DRangeScan::getDescriptionAsText(). Returns true if the coordinates origin is top-left, or false if it is bottom-left. Definition at line 927 of file CImage.cpp. Referenced by equalizeHist(), mrpt::obs::CObservationStereoImages::getDescriptionAsText(), mrpt::opengl::CFBORender::getFrame(), mrpt::opengl::CFBORender::getFrame2(), mrpt::gui::MRPTImage2wxImage(), mrpt::vision::normalizeImage(), mrpt::vision::CStereoRectifyMap::rectify(), mrpt::maps::COccupancyGridMap2D::saveAsBitmapFileWithLandmarks(), and mrpt::utils::CCanvas::textOut(). Definition at line 2437 of file CImage.cpp. References ASSERT_, getAs(), getHeight(), and setFromIplImageReadOnly(). Definition at line 2590 of file CImage.cpp. Referenced by mrpt::vision::CFeatureExtraction::extractFeaturesFAST(), mrpt::vision::CGenericFeatureTracker::internal_trackFeatures(), and mrpt::vision::detail::trackFeatures_checkResponses_impl_simple(). Definition at line 1301 of file CImage.cpp. References ASSERT_, mrpt::utils::TColor::B, mrpt::utils::TColor::G, makeSureImageIsLoaded(), MRPT_UNUSED_PARAM, and mrpt::utils::TColor::R.
Referenced by mrpt::gui::CDisplayWindow::plot(), mrpt::maps::COccupancyGridMap2D::saveAsBitmapTwoMapsWithCorrespondences(), and mrpt::gui::CDisplayWindow::showTiledImageAndPoints(). Definition at line 277 of file CImage.cpp. References isColor(), MRPT_END, MRPT_START, releaseIpl(), and THROW_EXCEPTION. Referenced by mrpt::vision::checkerBoardCameraCalibration(), copyFromForceLoad(), makeSureImageIsLoaded(), and mrpt::opengl::CAssimpModel::traceRay(). Reads the image from a OpenCV IplImage object (making a COPY). Definition at line 324 of file CImage.cpp. References ASSERT_, MRPT_END, MRPT_START, releaseIpl(), and THROW_EXCEPTION. Referenced by filterGaussian(), filterMedian(), and rectifyImage(). Definition at line 387 of file CImage.cpp. References img, m_imgIsExternalStorage, m_imgIsReadOnly, mrpt::system::os::memcpy(), MRPT_END, MRPT_START, resize(), and THROW_EXCEPTION. Referenced by mrpt::hwdrivers::CImageGrabber_dc1394::getObservation(), mrpt::hwdrivers::CImageGrabber_FlyCapture2::getObservation(), mrpt::hwdrivers::CDUO3DCamera::getObservations(), loadFromXPM(), mrpt::hwdrivers::CFFMPEG_InputStream::retrieveFrame(), and mrpt::gui::wxImage2MRPTImage(). Definition at line 1195 of file CImage.cpp. References changeSize(), img, MRPT_END, and MRPT_START. Definition at line 482 of file CImage_JPEG_streams.cpp. References changeSize(), img, isColor(), jpeg_create_decompress, jpeg_destroy_decompress(), jpeg_finish_decompress(), jpeg_read_header(), jpeg_read_scanlines(), jpeg_start_decompress(), jpeg_std_error(), jpeg_stdio_src(), JPOOL_IMAGE, mrpt::system::os::memcpy(), MRPT_END, MRPT_START, jpeg_decompress_struct::out_color_components, jpeg_decompress_struct::output_components, jpeg_decompress_struct::output_height, jpeg_decompress_struct::output_width, and TRUE. Referenced by mrpt::hwdrivers::CRovio::captureImageAsync(), and readFromStream(). Definition at line 2701 of file CImage.cpp. Definition at line 2727 of file CImage.cpp. References CH_GRAY, CH_RGB, img, and resize(). Definition at line 1935 of file CImage.cpp. References getExternalStorageFileAbsolutePath(), loadFromFile(), m_externalFile, m_imgIsExternalStorage, THROW_EXCEPTION, and THROW_TYPED_EXCEPTION_FMT. Referenced by changeSize(), correlate(), cross_correlation(), cross_correlation_FFT(), drawCircle(), extract_patch(), filterGaussian(), filterGaussianInPlace(), filterMedian(), filterMedianInPlace(), get_unsafe(), getAsFloat(), getAsMatrix(), getAsMatrixTiled(), getAsRGBMatrices(), getChannelCount(), getChannelsOrder(), getHeight(), getRowStride(), getSize(), getWidth(), grayscale(), grayscaleInPlace(), isColor(), isOriginTopLeft(), line(), normalize(), operator()(), rectifyImage(), rectifyImageInPlace(), rotateImage(), saveToFile(), saveToStreamAsJPEG(), scaleHalf(), scaleHalfSmooth(), scaleImage(), setChannelsOrder_BGR(), setChannelsOrder_RGB(), setOriginTopLeft(), setPixel(), and swapRB(). Definition at line 1560 of file CImage.cpp. References ASSERT_, ASSERTMSG_, and makeSureImageIsLoaded(). Definition at line 451 of file CImage.cpp. References ASSERT_, mrpt::format(), makeSureImageIsLoaded(), MRPT_END, MRPT_START, and THROW_EXCEPTION. Copy operator (if the image is externally stored, the writen image will be such as well). Definition at line 109 of file CImage.cpp. References ASSERTMSG_, img, m_externalFile, m_imgIsExternalStorage, m_imgIsReadOnly, MRPT_END, MRPT_START, and releaseIpl(). Definition at line 633 of file CImage.cpp. References ASSERT_, mrpt::utils::CMemoryStream::changeSize(), changeSize(), mrpt::compress::zip::decompress(), mrpt::utils::CMemoryStream::getRawBufferData(), img, IMPLEMENTS_MEXPLUS_FROM, loadFromStreamAsJPEG(), m_externalFile, m_imgIsExternalStorage, MRPT_THROW_UNKNOWN_SERIALIZATION_VERSION, mrpt::utils::CStream::ReadBuffer(), releaseIpl(), mrpt::utils::CMemoryStream::Seek(), THROW_EXCEPTION, and mrpt::utils::CSerializable::writeToMatlab(). Definition at line 176 of file CCanvas.cpp. Referenced by mrpt::vision::addFeaturesToImage(), mrpt::maps::COccupancyGridMap2D::saveAsBitmapFileWithLandmarks(), and mrpt::maps::COccupancyGridMap2D::saveAsBitmapTwoMapsWithCorrespondences(). Rectify (un-distort) the image according to some camera parameters, and returns an output un-distorted image. Definition at line 2084 of file CImage.cpp. References ASSERT_, mrpt::utils::TCamera::dist, mrpt::utils::TCamera::intrinsicParams, loadFromIplImage(), and makeSureImageIsLoaded(). Rectify (un-distort) the image according to a certain camera matrix and vector of distortion coefficients, replacing "this" with the rectified image. Definition at line 2050 of file CImage.cpp. References ASSERT_, mrpt::utils::TCamera::dist, mrpt::utils::TCamera::intrinsicParams, makeSureImageIsLoaded(), and releaseIpl(). Definition at line 2019 of file CImage.cpp. References ASSERT_, makeSureImageIsLoaded(), releaseIpl(), and THROW_EXCEPTION. Release the internal IPL image, if not NULL or read-only. Definition at line 1914 of file CImage.cpp. References m_externalFile, m_imgIsExternalStorage, and m_imgIsReadOnly. Referenced by changeSize(), colorImageInPlace(), copyFastFrom(), equalizeHistInPlace(), filterGaussianInPlace(), filterMedianInPlace(), loadFromFile(), loadFromIplImage(), operator=(), readFromStream(), rectifyImageInPlace(), rotateImage(), scaleImage(), setExternalStorage(), setFromIplImage(), setFromIplImageReadOnly(), unload(), and ~CImage(). originTopLeft: Is true if the top-left corner is (0,0). In other case, the reference is the bottom-left corner. Definition at line 209 of file CImage.h. Referenced by mrpt::slam::CMetricMapBuilderRBPF::drawCurrentEstimationToImage(), extract_patch(), mrpt::maps::CReflectivityGridMap2D::getAsImage(), mrpt::maps::COccupancyGridMap2D::getAsImage(), mrpt::opengl::CFBORender::getFrame(), mrpt::hwdrivers::CSwissRanger3DCamera::getNextObservation(), loadFromMemoryBuffer(), loadTGA(), mrpt::vision::normalizeImage(), mrpt::gui::CDisplayWindow::plot(), mrpt::vision::CStereoRectifyMap::rectify(), and mrpt::maps::COccupancyGridMap2D::saveAsBitmapTwoMapsWithCorrespondences(). Definition at line 2281 of file CImage.cpp. Definition at line 299 of file CImage.cpp. References ASSERT_, img, makeSureImageIsLoaded(), MRPT_END, MRPT_START, and THROW_EXCEPTION. Referenced by mrpt::slam::CGridMapAligner::AlignPDF_correlation(), mrpt::slam::CGridMapAligner::AlignPDF_robustMatch(), cvFindChessboardCorners3(), mrpt::vision::CFeatureExtraction::extractFeaturesSIFT(), mrpt::hmtslam::CHMTSLAM::generateLogFiles(), mrpt::hwdrivers::CSwissRanger3DCamera::getNextObservation(), mrpt::vision::CFeatureExtraction::internal_computeSiftDescriptors(), mrpt::vision::CFeatureExtraction::internal_computeSpinImageDescriptors(), mrpt::maps::CMultiMetricMapPDF::prediction_and_update_pfOptimalProposal(), mrpt::maps::COccupancyGridMap2D::saveAsBitmapFileWithLandmarks(), mrpt::maps::COccupancyGridMap2D::saveAsBitmapTwoMapsWithCorrespondences(), mrpt::slam::CMetricMapBuilderRBPF::saveCurrentEstimationToImage(), and mrpt::maps::CRandomFieldGridMap2D::saveMetricMapRepresentationToFile(). Definition at line 368 of file CImage_JPEG_streams.cpp. References ASSERT_, jpeg_compress_struct::image_height, jpeg_compress_struct::image_width, img, jpeg_compress_struct::in_color_space, jpeg_compress_struct::input_components, JCS_GRAYSCALE, JCS_RGB, jpeg_create_compress, jpeg_destroy_compress(), jpeg_finish_compress(), jpeg_set_defaults(), jpeg_set_quality(), jpeg_start_compress(), jpeg_std_error(), jpeg_stdio_dest(), jpeg_write_scanlines(), makeSureImageIsLoaded(), MRPT_END, MRPT_START, THROW_EXCEPTION, and TRUE. Definition at line 312 of file CImage.h. References mrpt::math::cross_correlation_FFT(), normalize(), and mrpt::utils::UNINITIALIZED_IMAGE. Definition at line 1170 of file CImage.cpp. References getSize(), scaleImage(), mrpt::utils::TPixelCoord::x, and mrpt::utils::TPixelCoord::y. Definition at line 282 of file CImage.h. Definition at line 1068 of file CImage.cpp. References ASSERT_, image_SSE2_scale_half_1c8u(), image_SSSE3_scale_half_3c8u(), mrpt::utils::IMG_INTERP_NN, mrpt::system::is_aligned< 16 >(), makeSureImageIsLoaded(), mrpt::system::os::memcpy(), and setFromIplImage(). Definition at line 297 of file CImage.h. Definition at line 1126 of file CImage.cpp. References ASSERT_, image_SSE2_scale_half_smooth_1c8u(), mrpt::utils::IMG_INTERP_LINEAR, mrpt::system::is_aligned< 16 >(), makeSureImageIsLoaded(), mrpt::system::os::memcpy(), and setFromIplImage(). Definition at line 2224 of file CImage.cpp. Referenced by mrpt::hwdrivers::CCameraSensor::getNextFrame(), and scaleDouble(). Scales this image to a new size, interpolating as needed, saving the new image in a different output object. Definition at line 2251 of file CImage.cpp. References ASSERT_, makeSureImageIsLoaded(), and setFromIplImage(). Definition at line 249 of file CCanvas.cpp. References init_fonts_list(), mrpt::utils::CCanvas::m_selectedFont, and mrpt::utils::CCanvas::m_selectedFontBitmaps. Referenced by drawChessboardCorners(), and mrpt::utils::CCanvas::textOut(). Definition at line 2686 of file CImage.cpp. References ASSERT_, makeSureImageIsLoaded(), mrpt::system::os::strcpy(), and THROW_EXCEPTION. Definition at line 2675 of file CImage.cpp. Definition at line 1895 of file CImage.cpp. References m_externalFile, m_imgIsExternalStorage, and releaseIpl(). Sets the internal IplImage pointer to that of another given image, WITHOUT making a copy, and from now on the image cannot be modified in this object (it will be neither freed, so the memory responsibility will still be of the original image object). When assigning an IPLImage to this object with this method, the IPLImage will NOT be released/freed at this object destructor. Definition at line 739 of file CImage.h. Referenced by mrpt::detectors::CObjectDetection::detectObjects(), and mrpt::vision::openCV_cross_correlation(). Reads the image from a OpenCV IplImage object (WITHOUT making a copy). This object will own the memory of the passed object and free the IplImage upon destruction, so the caller CAN'T free the original object. This method provides a fast method to grab images from a camera without making a copy of every frame. Definition at line 365 of file CImage.cpp. References m_imgIsExternalStorage, m_imgIsReadOnly, MRPT_END, MRPT_START, releaseIpl(), and THROW_EXCEPTION. Referenced by colorImage(), cross_correlation(), mrpt::hwdrivers::CImageGrabber_FlyCapture2::getObservation(), grayscale(), grayscaleInPlace(), mrpt::vision::CStereoRectifyMap::rectify(), scaleHalf(), scaleHalfSmooth(), scaleImage(), and mrpt::vision::CUndistortMap::undistort(). Reads the image from a OpenCV IplImage object (WITHOUT making a copy) and from now on the image cannot be modified, just read. When assigning an IPLImage to this object with this method, the IPLImage will NOT be released/freed at this object destructor. This method provides a fast method to grab images from a camera without making a copy of every frame. Definition at line 343 of file CImage.cpp. References ASSERT_, ASSERTMSG_, m_imgIsExternalStorage, m_imgIsReadOnly, MRPT_END, MRPT_START, releaseIpl(), and THROW_EXCEPTION. Referenced by mrpt::hwdrivers::CImageGrabber_OpenCV::getObservation(), joinImagesHorz(), and mrpt::vision::openCV_cross_correlation(). Definition at line 746 of file CImage.h. References get_unsafe(), MRPT_END, and MRPT_START. Referenced by mrpt::detectors::CFaceDetection::experimental_segmentFace(), mrpt::maps::CRandomFieldGridMap2D::getAsBitmapFile(), mrpt::hwdrivers::CSwissRanger3DCamera::getNextObservation(), mrpt::hwdrivers::COpenNI2_RGBD360::getNextObservation(), mrpt::hwdrivers::COpenNI2Sensor::getNextObservation(), mrpt::hwdrivers::CKinect::getNextObservation(), mrpt::vision::normalizeImage(), and mrpt::graphslam::CGraphSlamEngine< GRAPH_T >::updateRangeImageViewport(). Definition at line 774 of file CImage.h. References ASSERT_, get_unsafe(), MRPT_END, and MRPT_START. Changes the property of the image stating if the top-left corner (vs. Definition at line 1236 of file CImage.cpp. Definition at line 1248 of file CImage.cpp. References ASSERT_, makeSureImageIsLoaded(), MRPT_END, MRPT_START, and THROW_EXCEPTION. Definition at line 135 of file CImage.cpp. References img, m_externalFile, m_imgIsExternalStorage, and m_imgIsReadOnly. Referenced by mrpt::vision::CFeatureExtraction::extractFeaturesSIFT(), mrpt::obs::CObservationStereoImages::swap(), and mrpt::obs::CObservation3DRangeScan::swap(). Definition at line 2006 of file CImage.cpp. Definition at line 397 of file CCanvas.cpp. References mrpt::system::decodeUTF8(), isOriginTopLeft(), mrpt::utils::CCanvas::m_selectedFontBitmaps, MRPT_END, MRPT_START, mrpt::utils::CCanvas::selectTextFont(), and mrpt::utils::CCanvas::setPixel(). Referenced by drawChessboardCorners(), mrpt::gui::CDisplayWindow::plot(), and mrpt::maps::COccupancyGridMap2D::saveAsBitmapFileWithLandmarks(). Definition at line 200 of file CCanvas.cpp. Definition at line 1905 of file CImage.cpp. Definition at line 1342 of file CImage.cpp. References ASSERT_, getHeight(), getWidth(), img, mrpt::system::os::memcpy(), and THROW_EXCEPTION. Referenced by mrpt::poses::operator<<(), mrpt::utils::TCamera::readFromStream(), mrpt::obs::CObservationImage::readFromStream(), mrpt::obs::CObservationStereoImages::readFromStream(), mrpt::obs::CObservation2DRangeScan::readFromStream(), and readFromStream(). Definition at line 510 of file CImage.cpp. References ASSERT_, mrpt::compress::zip::compress(), DISABLE_JPEG_COMPRESSION, DISABLE_ZIP_COMPRESSION, mrpt::utils::CMemoryStream::getRawBufferData(), mrpt::utils::CMemoryStream::getTotalBytesCount(), img, isColor(), m_externalFile, m_imgIsExternalStorage, saveToStreamAsJPEG(), SERIALIZATION_JPEG_QUALITY, and mrpt::utils::CStream::WriteBuffer(). Definition at line 192 of file CImage.h. Definition at line 188 of file CImage.h. Definition at line 668 of file CImage.h. The internal IplImage pointer to the actual image content. Definition at line 912 of file CImage.h. Referenced by changeSize(), copyFastFrom(), extract_patch(), loadFromMemoryBuffer(), loadFromStreamAsJPEG(), loadTGA(), operator=(), readFromStream(), saveToFile(), saveToStreamAsJPEG(), swap(), update_patch(), and writeToStream(). Definition at line 921 of file CImage.h. Referenced by copyFastFrom(), getExternalStorageFileAbsolutePath(), makeSureImageIsLoaded(), operator=(), readFromStream(), releaseIpl(), setExternalStorage(), swap(), and writeToStream(). Definition at line 920 of file CImage.h. Referenced by copyFastFrom(), loadFromMemoryBuffer(), makeSureImageIsLoaded(), operator=(), readFromStream(), releaseIpl(), setExternalStorage(), setFromIplImage(), setFromIplImageReadOnly(), swap(), unload(), and writeToStream(). Set to true only when using setFromIplImageReadOnly. Definition at line 916 of file CImage.h. Referenced by copyFastFrom(), loadFromMemoryBuffer(), operator=(), releaseIpl(), setFromIplImage(), setFromIplImageReadOnly(), and swap(). Definition at line 43 of file CCanvas.h. 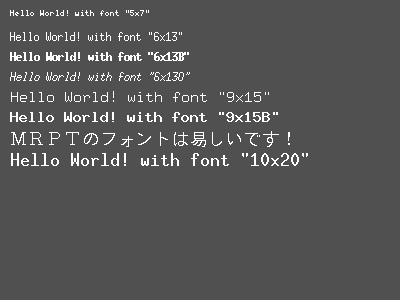 Referenced by mrpt::utils::CCanvas::selectTextFont(), and mrpt::utils::CCanvas::textOut(). Definition at line 196 of file CImage.h.